They say dog is man’s best friend, but for stroke survivors, a dog can mean even more than that. Dogs tend to respond well to training and have the temperaments to be good companions. For this reason, more and more stroke survivors are finding comfort, support, and assistance during recovery in the form of pet therapy dogs. These animals are not just the pets you’ll find at the pet store; they go through special training to become service animals ready to help in a multitude of ways. And by simply caring for a dog (brushing, feeding, walking), survivors experience therapeutic effects. 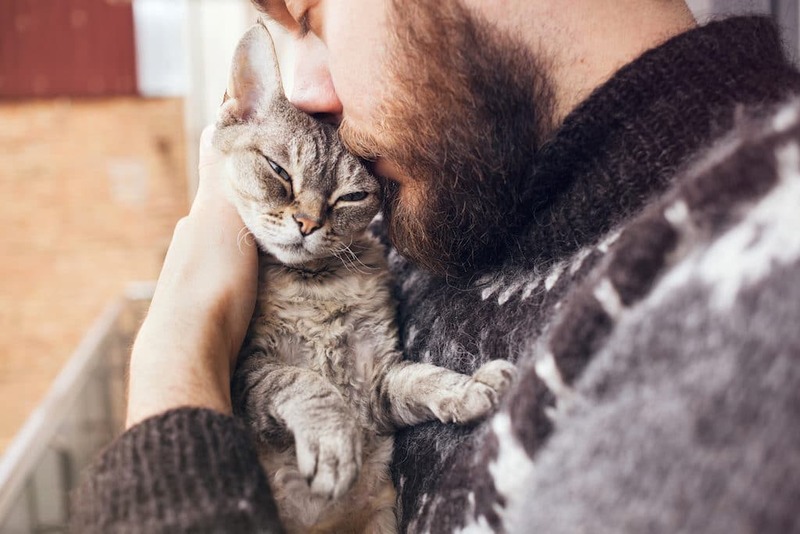 Pet therapy is not just a fancy term for having a pet. Pet therapy, also known as animal-assisted therapy or AAT, uses trained animals as a form of treatment. While almost any kind of domesticated animal can be a part of pet therapy, canine therapy is the most common and most popular. Dogs are ideal therapy animals because they are comforting and non-judgemental, and therapy dogs undergo extensive training before working with a patient. 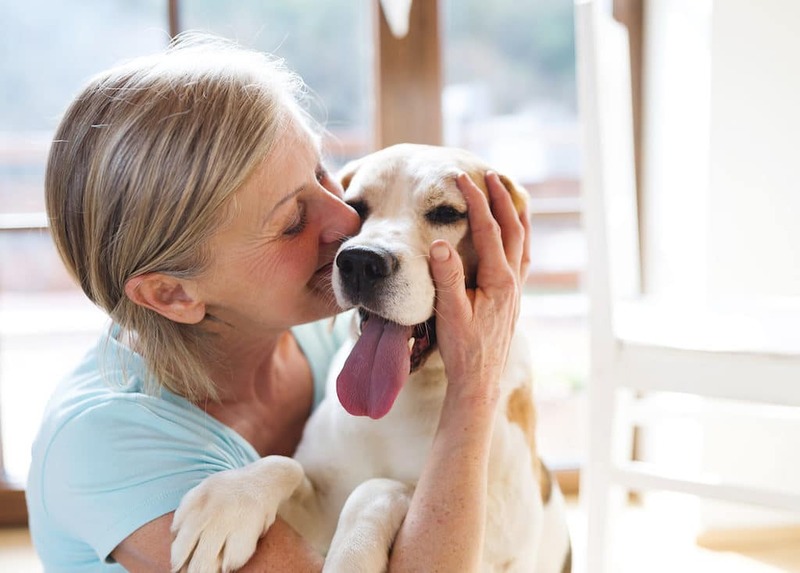 One great benefit of pet therapy is how it can make stroke survivors feel less lonely. Having a stroke can be an isolating experience. If the survivor suffers from aphasia, it may be difficult for them to communicate with others. If they are unable to walk, they will likely spend most of their time at home. An animal provides company and stimulation, allowing a stroke survivor to have a more varied lifestyle. Pets encourage stroke survivors with aphasia to try to communicate. Dogs are able to pick up on nonverbal cues, like hand signals and sounds, and may respond to just one word, making it easier for someone with aphasia to practice communicating. When out and about with a dog, the pet is also a great conversation starter, giving the stroke survivor more opportunities to practice talking with strangers. Stroke recovery and rehabilitation can be difficult, and it can take an emotional toll on the survivor. Pets offer the acceptance, love, and motivation that a stroke survivor may struggle to find in themselves. Even just petting an animal can provide a calming and comforting effect that can help with a survivor’s mental health. Therapy dogs can assist a stroke survivor with their stroke recovery exercises. A simple activity like brushing the dog’s fur can act as a hand exercise and help decrease spasticity and increase motor recovery. They can also practice motor tasks by doing things like snapping the dog’s leash on and off, tying a bandana around their neck, and feeding them treats. For stroke survivors, an animal could be the missing link in their recovery efforts. Dogs are common therapy pets, and there are many benefits to having one. They can provide the comfort and motivation a stroke survivor needs to power through their recovery and improve their mental health. Caring for a dog may also improve confidence in survivors because it makes it easier for them to meet people and be social. If you or a family member is interested in pet therapy, start by looking into Therapet, the Alliance of Therapy Dogs, or Pet Partners.